The 2018 mid-term elections see pivotal state-level votes on either medical or recreational marijuana in four states: Michigan, North Dakota, Missouri and Utah. 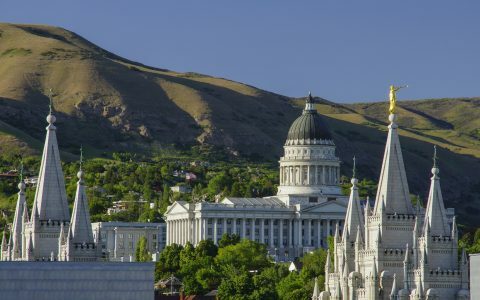 Utah will be one of the most significant, as the majority of voters face off against the Mormon church, as well as police and city leaders over access to medical cannabis. Utah Proposition 2 appears on ballots as a citizen-proposed state statute on November 6, 2018. Voting “yes” would legalize medical cannabis use for qualified patients. Here are the details. Want to Find Legal Cannabis Near You? What Would Prop 2 Do? The “Utah Medical Cannabis Act” (aka Prop. 2) legalizes medical marijuana in Utah, similar to programs in 31 other states. Individuals with specific qualifying conditions could get a recommendation from a physician and apply for a state medical marijuana identification card. Medical cannabis smoking stays illegal, but individuals could buy from licensed stores. Limits would be two ounces of unprocessed cannabis, or cannabis products containing up to 10 grams of tetrahydrocannabinol (THC) or cannabidiol (CBD). To facilitate safe access after January 1, 2021, medical cardholders would be able to grow six marijuana plants for personal use in their homes, if there no dispensaries within 100 miles of them. Who Qualifies Under Prop 2? Any rare condition or disease affecting less than 200,000 individuals in the U.S.
What’s Utah’s Current Marijuana Law? Recreational use of marijuana remains illegal. Medical cannabis options exist in name only. It’s legal to possess low-THC/high-CBD oils in Utah, but there remains no lawful way to obtain them. Mail order or interstate transport of such oils remains illegal. People with six months or less to live may one legally use medical marijuana, under a law (House Bill 195) passed in March, 2018. Under HB 195, terminally ill patients may only use cannabis obtained from a source licensed by the state Dept. of Agriculture, and a “state dispensary for cannabis.” Neither the license nor the dispensary exist in any form at this time. Cannabis, of course, remains federally illegal, and also against state law in Utah. Hundreds of small donors are also supporting Prop 2. 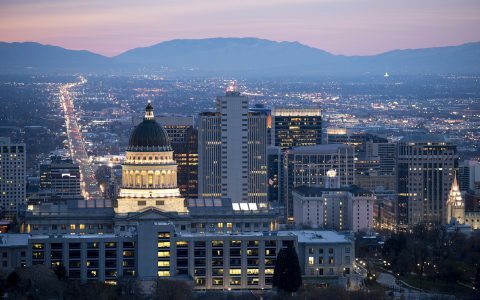 A group called Drug Safe Utah leads the opposition to Utah medical marijuana. 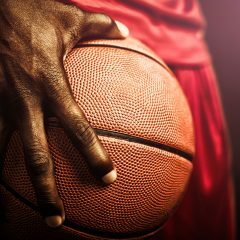 Other opponents include the Utah Medical Association and The Church of Jesus Christ of Latter-day Saints. In 2018, Drug Safe Utah has raised $167,180 and spent $72,120, Ballotpedia reports. Only two individuals are funding Drug Safe Utah. Almost all opposition funds come from one man, Walter Plumb III, a real estate, developer, philanthropist, and pharmaceutical company owner, reports state. What’s the Fiscal Impact of Prop 2? State officials estimate it would cost $1.1 million to start the program and $1.8 million per year to administer. About $1.4 million of annual costs would be covered by fees. General state revenues would have to fund $400,000 in ongoing costs and $1.1 million in one-time startup costs. How Did Prop 2 Get On The Ballot? Supporters gathered more than 113,000 voter signatures by the April 15 deadline. Proponents spent $201,125 on professional signature gatherers. They also conducted 10 hearings and amended the proposition based on public input. What Remains Illegal Under Prop 2? Smoking cannabis. Driving under the influence of it, or using it in public. All other laws that prohibit the production, processing, sale, possession, and use of non-medical cannabis. How Would Patients Access Medicine Under Prop 2? A doctor must write a note called a recommendation (not a prescription) for a qualifying condition. Minors would need a legal guardian’s permission. Applicants denied a card could appeal to a state Compassionate Use Board. How Would Patients Purchase Under Prop 2? Patients would purchase medicine after showing a valid state-issued medical marijuana card at a licensed dispensary, subject to 14-day limits of either two ounces of raw cannabis flower or ten grams of THC or CBD. Are There Taxes Under Prop 2? As a medicine, medical marijuana would be exempt from sales taxes. How Many Dispensaries Would Be Allowed? One per 150,000 people in a county. So eight in Salt Lake County, for example. Can Local Municipalities Ban Dispensaries Under Prop 2? No, cities and counties could not use federal law as an excuse to ban stores or farms. They can, however, narrowly restrict the time, place, and manner of medical cannabis business operations to mimic a ban. Other local zoning rules would apply, and cannabis businesses could not locate with 600 feet of sensitive uses like schools, parks, or churches, or within 300 feet of homes. 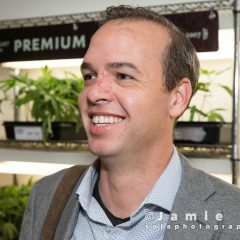 Who Would Grow Medical Cannabis Under Prop 2? A state-designated producer system, capped at 15 farms, would operate until 2022, when more farms could be added. After Jan. 1, 2021, medical patients who live more than 100 miles from a dispensary could grow it, too, subject to restrictions. How Long Would Patients Have to Wait? 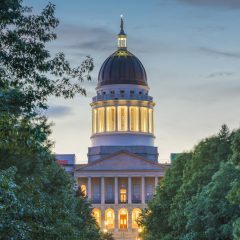 Under the language of the proposition, state officials would have to fully implement the medical marijuana system by July 1, 2020. Between Nov. 7, 2018 (the day after the election) and July 1, 2020, Prop 2 contains a clause that gives medical marijuana patients an affirmative defense in state court for certain marijuana crimes “if the individual would be eligible for a medical marijuana card and if the individual’s conduct would have been lawful after July 1, 2020.” There is no affirmative defense for federal cannabis charges. What About Medical Marijuana Patients From Other States? What Are Patient Possession Limits? Limits would be two ounces of unprocessed cannabis, or cannabis products containing up to 10 grams of tetrahydrocannabinol (THC) or cannabidiol (CBD). 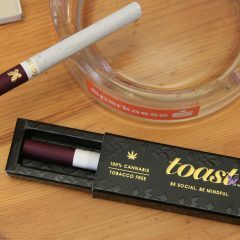 How long will two ounces of flower, or 10 grams of THC last? Two months for flower — at a rough average of one gram per day. Ten grams of pure THC is a lot — equal to 1,000 doses under Colorado and California’s 10 mg standardization. Are There Any Anti-Discrimination Provisions? 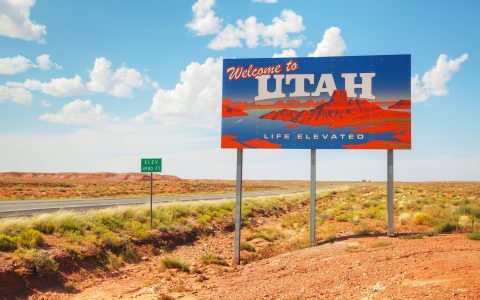 How is Medical Marijuana Polling in Utah? Medical marijuana polled at 64 percent in Utah, in an Aug. 31 poll with a margin of error or +/-3.4%. February and May polls had support as high as 77% and 72%. 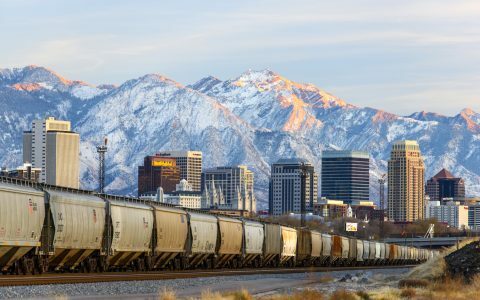 UtahPolicy.com commissioned the most recent poll by polling firm Dan Jones & Associates, who surveyed 809 registered Utah voters. How Do I Vote on Prop 2? Utah residents who are age 18 or older must mail in their voter registrations at least 30 days prior to the election, which is held on Nov. 6, 2018. Online or in-person voter registrants must complete their registration at least seven days before Nov. 6. On Election Day Nov. 6, polling places must be open from 7 a.m. to 8 p.m. Utah has polling station voter identification rules requiring: one form of name and photograph identification; or two forms of identification bearing name and address.